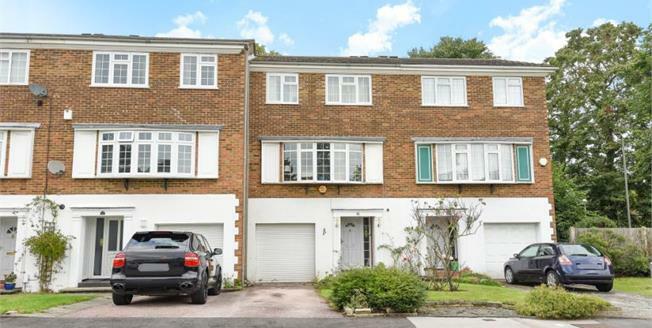 Located in a cul-de-sac within close proximity of both Chislehurst and Bickley mainline rail stations is this rarely available three/four bedroom townhouse. The property is presented in excellent decorative order and boasts expansive accommodation arranged over three floors. The ground floor offers a welcoming entrance hall, bedroom four/garden room, shower room, two storage cupboards and access to the integral garage. The first floor benefits from a large living room, dining room and a modern fitted kitchen with integrated appliances. The top floor benefits from three bedrooms and a family bathroom. Outside offers a low maintenance rear garden and a driveway to the front. Viewing essential.